July 2017 - A Life From Scratch. There is a certain point of the summer where it just feels like something is missing. Even in the middle of a move last summer and baseball season ending and football season shortly beginning there is something that needs to happen in order for my summer, our summer, to be complete. Get me on that plane to Bozeman, Montana. I’ve been heading out west to the same exact spot in the same exact home for almost thirty years now. We were there before the stores, the restaurants, the million+ dollar homes, the fancy features in magazines, and yep, even the Kardashians. And while Big Sky has changed over the years, how it makes me feel has not. In a world where the calendar pages seem to turn way too quickly, we get this small precious time to slow down. To disconnect. (Whether by choice or lack of options. Ha). Oh, and having wide open days in the most beautiful wide open space I have ever seen. ALFS will be taking a little break while away but wait! There are two ways to stay connected. 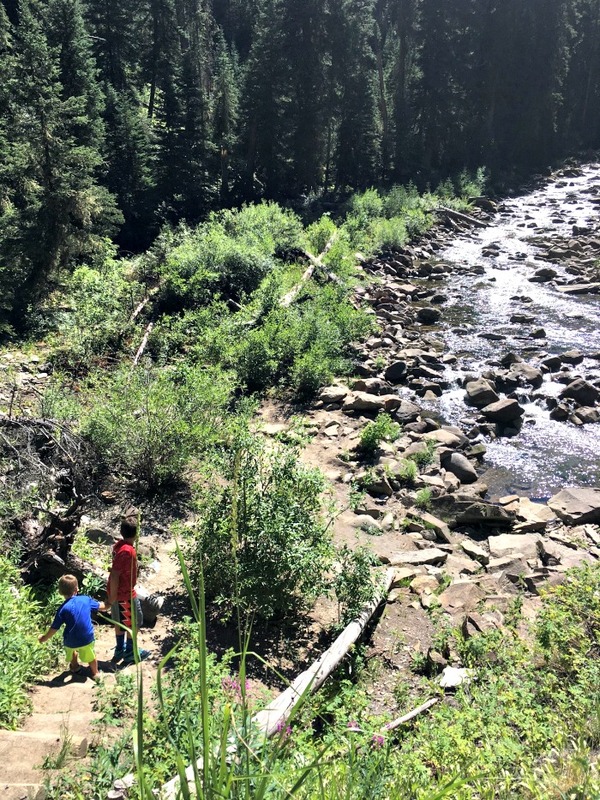 If you want to follow the fly fishing, zip lining, rafting, hiking, and eating adventure along in what I feel is the most beautiful place on earth, be sure to follow ALFS on Instagram. I will be in touch there as much as the iffy Sprint Network allows me to. Also, the July newsletter will be hitting inboxes Sunday, July 30th so if you haven’t subscribed, this is the best way to follow along what’s been happening on the blog each month. Alright friends, enjoy the rest of your July. And as always, happy cooking! I’ll admit it. I love what summer can do to the dinner routine. Many times it’s all, ‘let’s just eat at the pool’ ‘or let’s go sit outside at the spot down the road’ and of course, fire up the grill and plop on some burgers or great sausages. But I can miss the heart of cooking in it all. The slow saute on the stove. The chop chop chopping away. And while it wasn’t a cool day by any means, I know I needed to find something that was applicable to summer but that I could get simmering away in my red pot. Friends, this one is a winner. 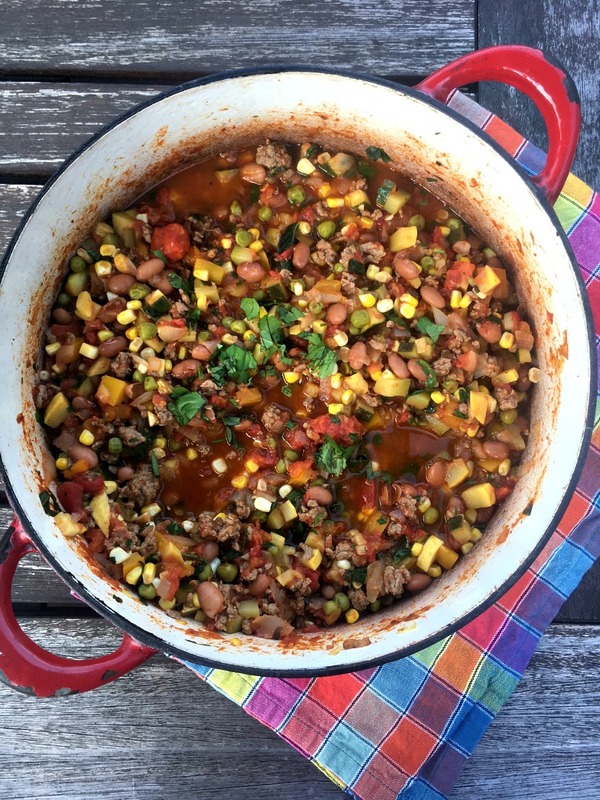 Not only can you buy almost everything at a farmers market (canned tomatoes, peas, and spices aside) but it packs in a massive amount of the freshest veggies in season so even with the lean ground beef, it feels pretty darn healthy and light. Even on a close to 90 degree evening, we had no problem wolfing this down in deep bowls with some tortilla chips on the side. Perfection! Heat oil in a Dutch oven over medium-high. Add onion, bell pepper, and serrano chile; cook, stirring often, until onions are translucent, about 5 minutes. Add beef and garlic; cook, stirring often to crumble beef, until meat is browned, about 5 minutes. Stir in chili powder, cumin, salt, coriander, and oregano. Cook, stirring often, until fragrant, about 1 minute. Stir in crushed tomatoes, pinto beans, peas, diced tomatoes, zucchini, squash, and corn, and bring to a boil. Reduce heat to medium-low, and simmer, stirring occasionally, 45 minutes. Stir in water or stock, 1/4 cup at a time, if chili seems too thick. (I did not need). Stir in cilantro and basil and, if using, hot sauce; serve immediately. 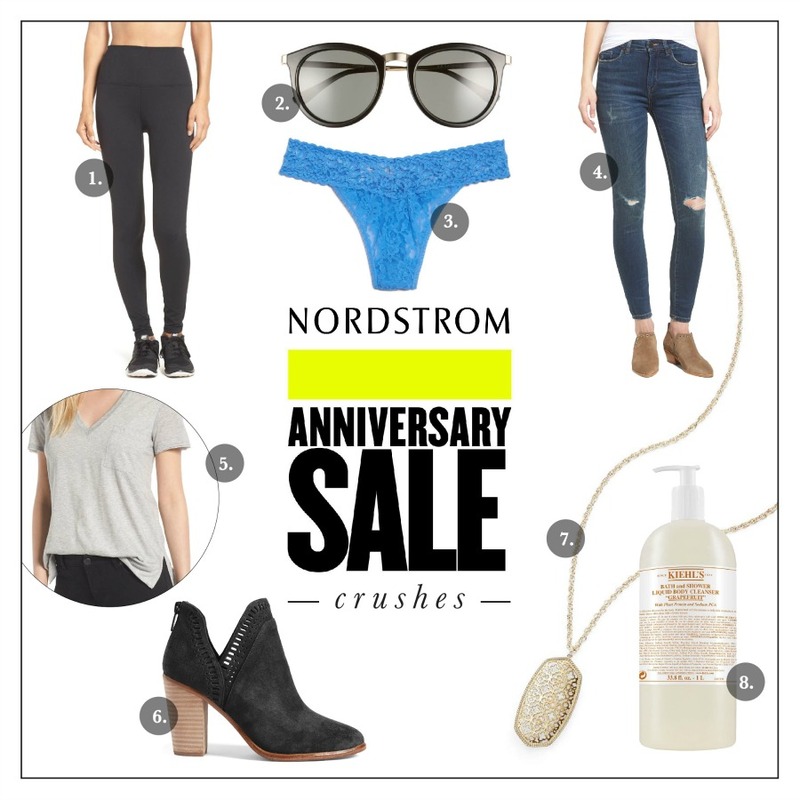 Happy Friday and happy Nordstroms anniversary sale day, yippee! The sale has been open to card members for a bit now, but today is the first official day it’s open to all. If you’re anything like me, you’ve had some items sitting in your wish list. I tried to be smart about what I picked this year (needed versus wanted) and really wanted to make sure anything purchased was something I would get a lot of use out of it. Without further ado, here’s what is at the top of my list. My mom (and so many others) rave about these Zella leggings. I’ve been a Lulu girl for years but anxious to give these a try since mine are pretty worn in. At the price of $35.00, I’m getting two. Heart the shape of these Le Specs. I tried them on recently and loved but didn’t make the purchase. Now that they are on sale it’s pretty tempting…. Always a good idea to give the underthings a little refresh. Bloggers have been raving about these jeans. They run true to size and are oh so current with the ripped knee vibe. For $59.00 you can’t go wrong. Love a good staple. This v-neck tee comes in gray, white, black and is the perfect go to for under that chunky cardigan in the fall. Speaking of fall, what is fall without a new bootie? The delicate cutouts on these won me over. I’ve been trying to accessorize more lately (I’m so plain!) and this long Kendra Scott necklace seems like something I can get on board with. Great brand. Last but not least, Kiehls never fails. This gigantic bottle will last months and months and the smell is heavenly. Stock up! Happy shopping friends! Tell me, what do you have your eye on? Gotta love a great drug store find. I’ve realized I’ve never shared my staples that are always in stock at my home. 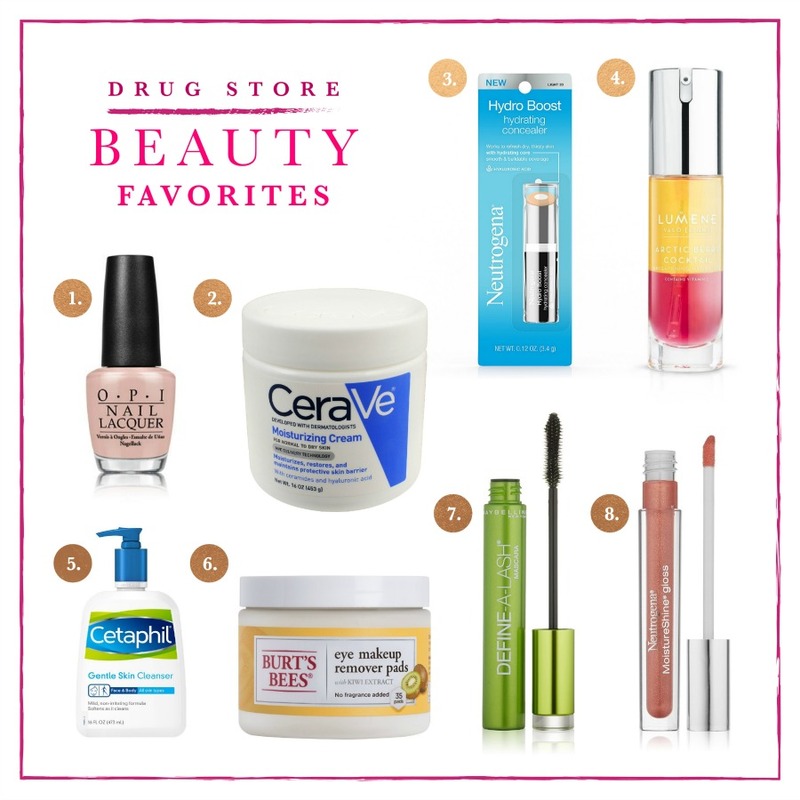 Some of these I even love better than the high priced options via Sephora or Nordstroms. Score! I hope you find a new product to try, and I’d love to hear any recommendations you have for me! Let’s do this. My go to color for every single pedicure, Amen. I am so boring when it comes to this (my mom literally does like, flaming blue) but I’m a huge believer when you find your color you stay with it. I’ve done a bright coral once in awhile to try and be ‘fun’ but ultimately ended up missing my OPI ‘Don’t Pretzel My Buttons’ was on. Love it. We keep a tub of this CeraVe cream in our master bath and the boys bathroom and slather it on cuts, scrapes, any weird rashes or dry patches. Sort of like the Windex a la Big Fat Greek Wedding, but hopefully a slightly healthier choice. When it comes to make up, I am pretty bare bones. So when I find a product that does something good for you along with concealing, I’m all in. This product will fake you a good night sleep and increase the moisture in your skin. Yippee! Oooohhh face oils are all the rage and this one feels super luxurious on the skin without the high end price tag. Plus it slathers on vitamins C, B3, and B5. Yummy. Best drug store face cleanser. Ever. I don’t know why they even bother with other options. A nightly must! I use two of these Burt’s Bees eye make up remover pads before washing up at night. My sister in law originally recommended this mascara to me and I was hooked. The length it gives you is ridiculous and the tiny wand gets every. single. lash. I honestly can’t decide if I love this one or the more expensive Too Faced brand. If I had to pick, I might lean Maybelline. Again, so minimal with the beauty products but when I do feel fancy (so rare) a lip gloss is my go to. The Neutrogena brand is light and simple enough for a make up novice like me, but it definitely gives a little extra something. What do you think? Anything you might want to try? I know, I know. The thought of your slow cooker in summer is a bit confusing. But I’ve been loyal to mine. Stay with me here. I find that summer days are way more jam packed than fall or winter, so much so that most nights of the week weren’t aren’t rolling in until close to 8:00 and then it’s all, where should we pick up carry out from? Planning ahead and getting a slow cooker meal once a week into your rotation will help so much, promise. The recipes are easy. They are quick. You get to go about your whole day knowing dinner is done. (Score!) And it’s way healthier all around than any carry out you can pick up. So what are you waiting for? 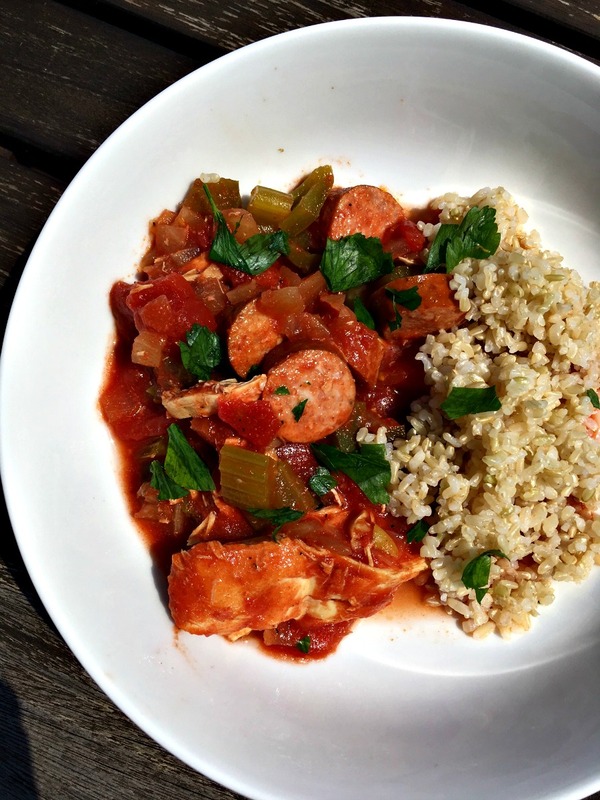 Try this slow cooker cajun chicken and sausage recipe this week! You won’t be disappointed. Promise. Place sausage, onions, peppers, celery, garlic in the slow cooker. Add chicken stock, tomatoes, and seasonings and stir. Take chicken breast out, shred, and place it back in the slow cooker. Mix together well and serve with brown rice.